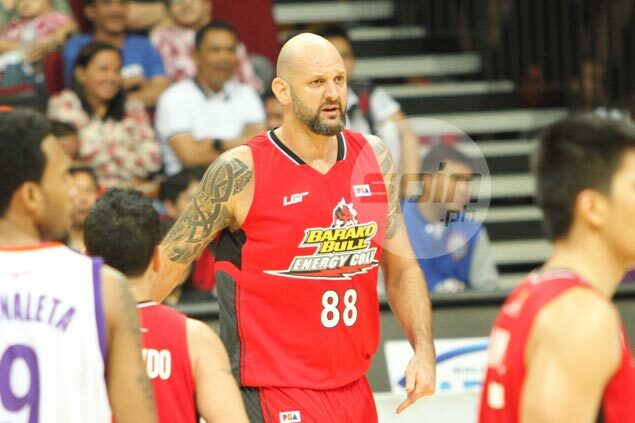 STAR has sent Mick Pennisi back to former team Barako Bull owing to a PBA rule on Filipino-foreigners. Already exceeding the league’s Fil-foreign-player limit of five players, the Hotshots were forced to trade the veteran big man in exchange for the Energy’s 2017 second-round pick. “We really liked Mick and would’ve loved for him to stay,” Star coach Jason Webb said in a text to Spin.ph on Saturday, referring to the lefty stretch slotman. Fil-Ams Joe Devance, Alex Mallari, and Rafi Reavis, Fil-Palestinian Yousef Taha, and Fil-Canadian rookie Norbert Torres make up the Hotshots’ five Fil-foreigners. The 40-year-old Pennisi reinforces an Energy frontline composed of Jake Pascual, Jondan Salvador, and Rico Maierhofer. "We needed a big man," Barako coach Koy Banal said.